According to the statistics, there were over 300 motorbikers killed in 2011 and over 5 thousand motorbikers reported as seriously injured in road traffic accidents. The total number of motorbikers who were involved in reported accidents had increased significantly to over twenty thousand victims. It is not surprisingly that motorbike users are highly likely to be more injured in an accident compared to car users as they are more vulnerable. A motorbike cannot offer protection in the form of a cage around the rider similar to a car where the driver sits inside an enclosed reinforced cabin. Hence, motorbike accident claims often have a higher level of injuries in comparison to a similar car accident. A motorbike accident can result in a wide range of injuries and can happen due to other influences on the road. If you or someone you know has been involved in a motorbike accident, whether as a rider or a pillion, then you may have had to seek medical care and take time off work to recover. As a victim who is not at fault, we understand that things can get financially difficult especially when there is a lack of support. The keyword 'Motorbike Accident Claims' is highly desirable in the claim industry and we give more to those reaching out to us. Claiming for compensation that you are entitled to for your personal injury and other losses can be beneficial and valuable in regaining control of your life. Of course it is justified that you get recompensed for something that you are not at blame for. Equally important is the need to prevent any further accidents to other fellow motorbike users by raising awareness through your personal injury claim. In short, you will appreciate that your action in making a motorbike injury claim is part of a bigger picture which benefits you and other motorbike users. You are making the difference to changing your or the victim’s life for the better after the accident and performing a good deed at the same time. Now, your priority is to get the maximum compensation and you know that 101% Compensation gives you a percentage more which is fantastic. 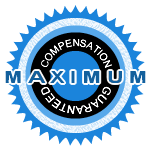 To exceed your priority, what you have found here is the chance to get your whole 100% compensation and, this is unique, an EXTRA 1% compensation added to your awarded amount.